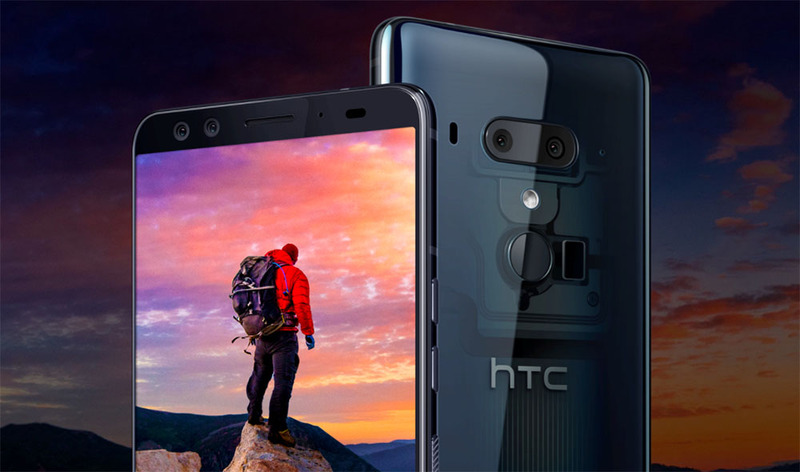 The HTC U12 Plus is the best flagship from the manufacturer yet and after checking out the specifications jotted down on paper, we can safely say that we have a very close Galaxy S9 and Galaxy S9 Plus competitor. If you wish to make this your daily driver, then here is everything you need to know about the newly announced premiere smartphone. The U12 Plus sports a 6-inch Super LCD6 display with an 18:9 aspect ratio and a resolution that measures in at 2,880 x 1,440. The display has a 537PPI and is also HDR10 and DCI-P3 compliant. Do keep in mind that this is a pressure sensitive display that enables Edge Sense squeeze gestures. The protection of the display is carried out by Gorilla Glass 5. The most powerful flagship from the company yet, the HTC U12 Plus features a Snapdragon 845 coupled with 6GB of RAM for both the 64GB and 128GB storage models. There is also a microSD card slot to top that storage up. For the first time, the HTC U12 Plus is a flagship from the company that features dual cameras on both ends. At the rear side, you have a 12MP + 16MP configuration with the primary 12MP camera featuring a pixel size of 1.4μm, aperture of F/1.75, OIS, and EIS. The secondary 16MP camera has a pixel size of 1μm, aperture of F/2.6, 2x optical zoom, and comes with features like portrait mode. The front camera features dual-8MP shooters with 1.12μm pixel size, F/2.0 aperture, an 84-degree wide angle FOV and surprisingly, there is Portrait Mode on this side too. For video recording, the U12 Plus competes with the best phones out there as it is able to record 4K video at 60 frames per second, as well as slow-motion 1080p videos at 240FPS. In addition, you can also record 360-degree 3D audio courtesy of 4 mics attached to the smartphone. The smartphone features a large 3,500mAh battery but it is smaller than the one present in the U11 Plus, which featured a very hefty 3,930mAh cell. In addition to supporting Quick Charge 4.0, the U12 Plus also supports wireless charging. 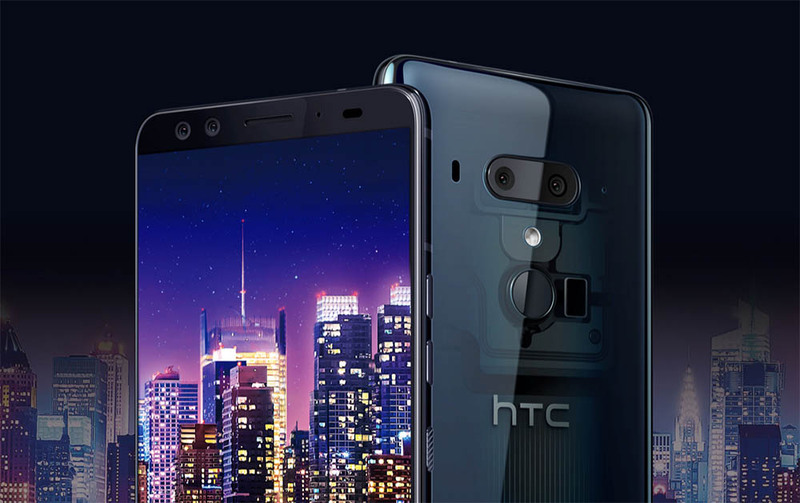 The HTC U12 Plus comes with audio features ranging from BoomSound Hi-Fi edition, HTC USonic and comes with a pair of USB-C + noise canceling headphones. Though the smartphone will be running Android Oreo 8.0 on top of the phone’s customized skin, HTC has said that the flagship will get Android P as soon as the update is officially launched. The smartphone is IP68 certified and also comes with Google Assistant plus Alexa. 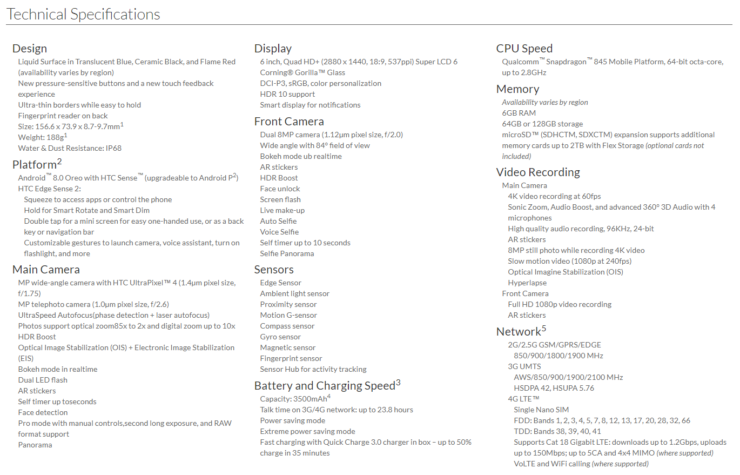 As for network connectivity and compatibility, the U12 Plus features a 4G LTE Cat. 18 modem that can deliver up to 1.2Gbps. Available in Translucent Blue, Flaming Red, Ceramic Black, the HTC U12 Plus is available for pre-order for $799 for the 6GB RAM + 64GB storage model and $849 for the 6GB RAM + 128GB storage model. If you want, you can start pre-ordering the smartphone from HTC’s U.S.-based website. Concluding the announcement, do you think HTC has finally released a proper contender to take on the Galaxy S9, Galaxy S9 Plus, and the other competitors? Tell us down in the comments.